Philangelus ADMM SV contains 14 short sacred choral works by Nicholas Wilton, performed by Magnificat under the direction of Philip Cave with Julian Gavin (tenor). 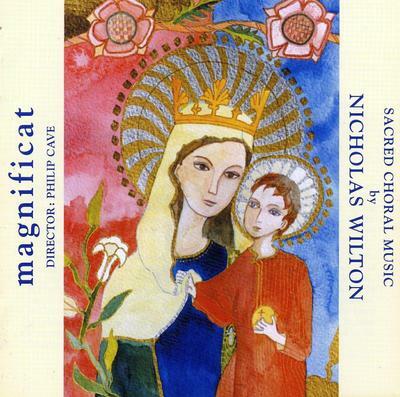 Nicholas Wilton began writing sacred choral music in 1990, having previously composed mainly for the piano. Magnificat was formed by Philip Cave in 1991. Many of its young professional singers are former Oxford or Cambridge Choral Scholars. Magnificat specialises in the performance of sacred music of the sixteenth and early seventeenth centuries. They have made several recordings and with a growing following abroad, have recently performed at the Athens festival and across America. "A small collection of beautiful little miniatures . . . Quite simply the finest music of their type that I have seen in a long time." Michael Edwards, Organists' Review, February 1997. "Simple but effective music, beautifully sung." Janet Banks, BBC Music Magazine, March 2001. ". . . miniature masterpieces . . . a result of pure inspiration and a receptive intellect rich in spirituality and reflectiveness . . . exquisite . . ." Organists' Review. What do you want to know about Sacred Choral Music by Nicholas Wilton?